Our most popular- Concord Blend--This wine is perfect for cheesecake with its intense grape flavor. This great taste is fruity and can be served as a dessert or simply enjoy it at any time. This wine is very light and goes with anything, so sit back and enjoy. Serve cold with anything. Young Wine. Flowery bouquet. 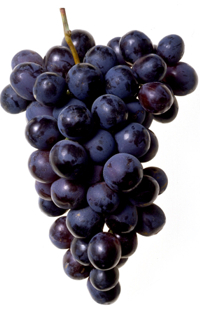 The South's very own grape. The distinctive taste and luscious aroma of being freshly picked give this wine. TBlod, light and crisp taste. Apple a day ! Made from Dark Cherries from MI. Classic blueberry wine, light and refreshing for summer, yet full bodied enough to accompany pork, chicken and pasta dishes. Semi-sweet Concord. Very fruity and grapey but with a full body. This wine is very light and goes with anything, so sit back and enjoy...not to sweet. Oak background. Dry red wine with some fruity overtones. It is very dark in color. Non-alcoholic Muscadine Juice – Red and White with no sugar added. ALL PRICES INCLUDE SALES TAX AND SUBJECT TO CHANGE.